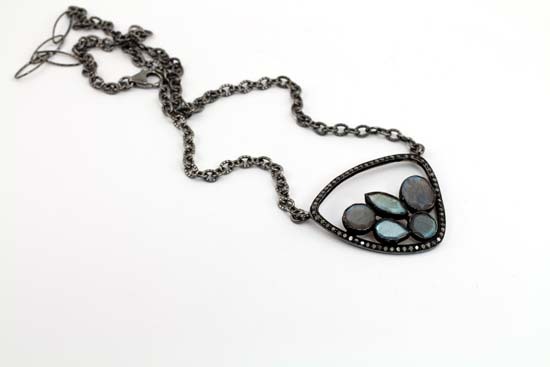 iDazz jewelry can best be described as handmade with a vintage flair. 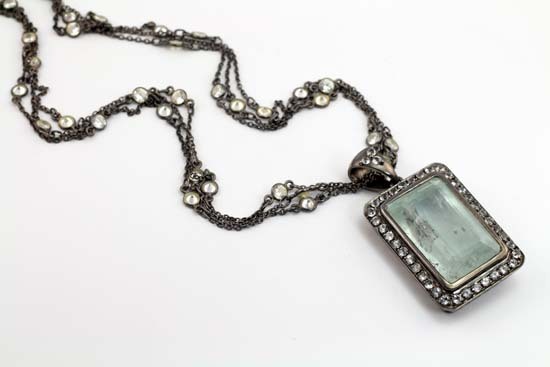 The designer, Trish Kozub, loves to incorporate gorgeous gemstones with vintage items such as vintage glass from the 40s, vintage buttons from the 1800s (she is a member of the National Button Society), as well as vintage brooches and buckles. Her design aesthetic is easily recognizable….casual elegance and very wearable. I use the highest quality gemstones and pearls (mostly baroque and tahitian). 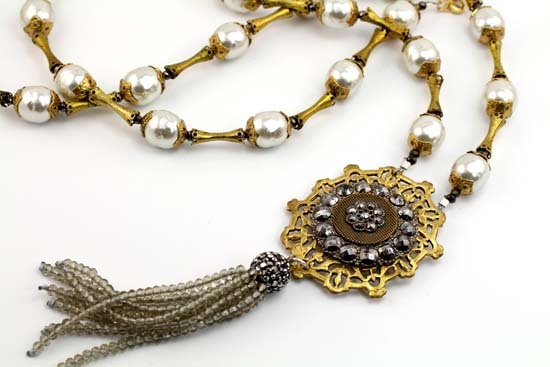 Many times I incorporate vintage glass, buttons from the late 1800s, pearls and buckles. I describe my style as handmade jewelry with a vintage flair. I incorporate many different techniques….wire wrapping, soldering, stringing and rosary chain links.